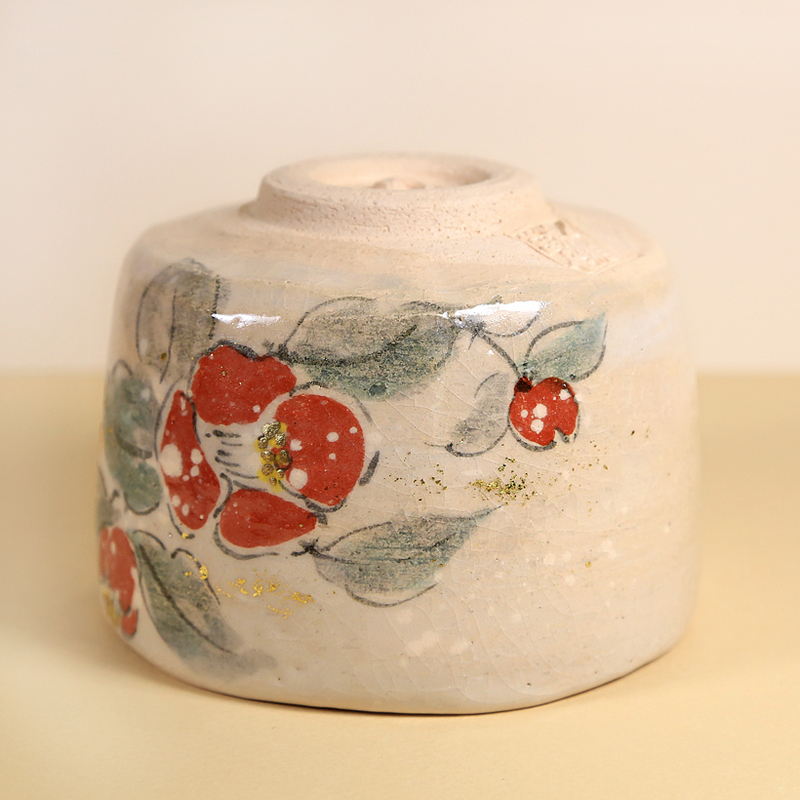 Do not use dish soap or cleaner on your Raku bowl and do not put it into a dishwasher. 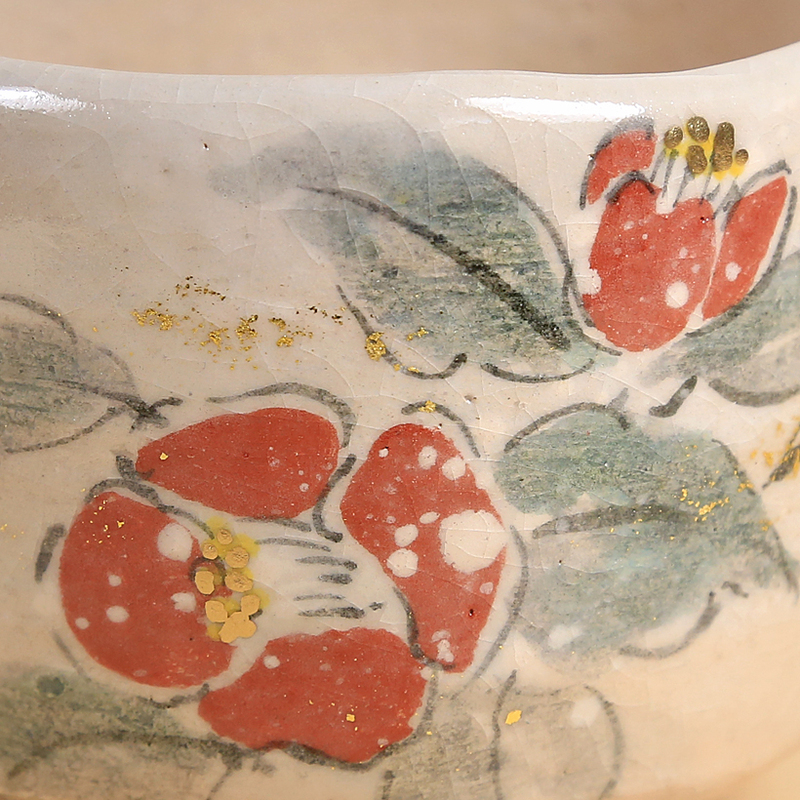 This gorgeous Raku bowl is Shiro raku (white) features an exuberant rendering of red Camellia blossoms and leaves caught in a sudden snowstorm – a contrasting scene to the comforts of the tea drinker sipping from this tea bowl! 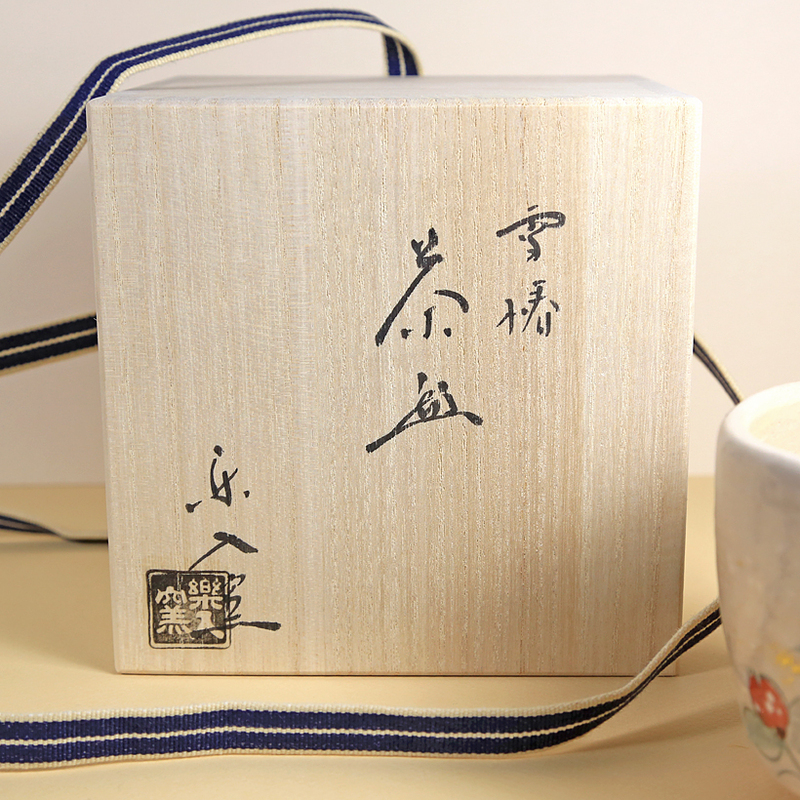 A lovely tea bowl for celebrating the changing season of late fall/ early winter. 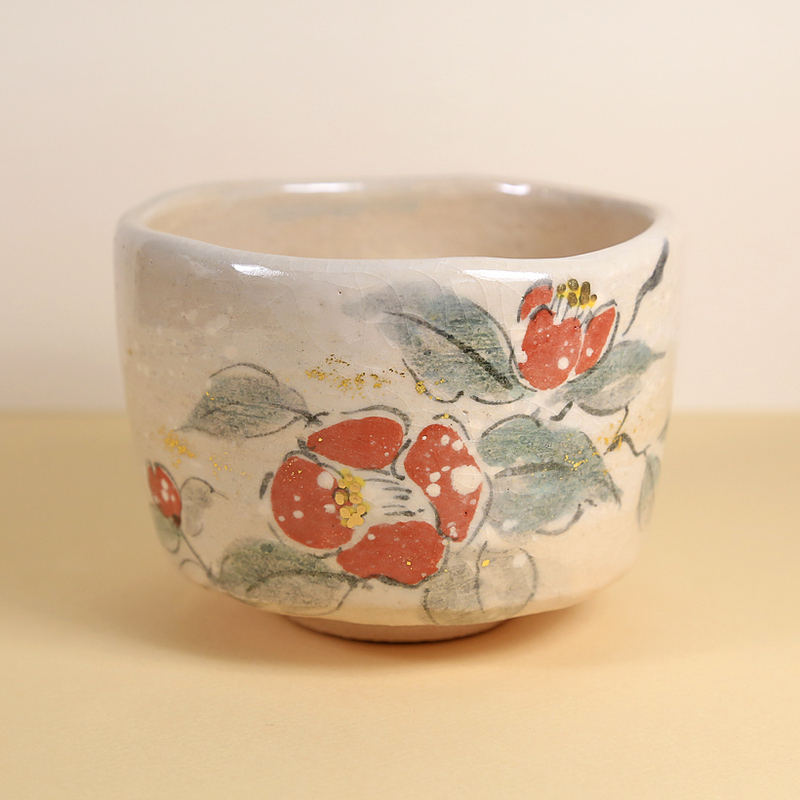 The generous size of the tea bowl feels good in the hands as does the soft, warm feeling of the raku clay. The white raku glaze gives the bowl a light and dreamy feeling and stands in sharp contract to the more traditional somber black raku glaze.